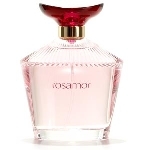 Rosamor is a blossoming woody floral with a sparkling and fruity opening, a floral accord with a warm and sensual signature. It fans out with warmth and plenitude, leaving a unique, singular trail. Have enjoyed this product in the past, but have been unable to find it locally. So glad it is available online.